Guest Post by EVKM Instructor Sara Ullenbruch PT., DPT. 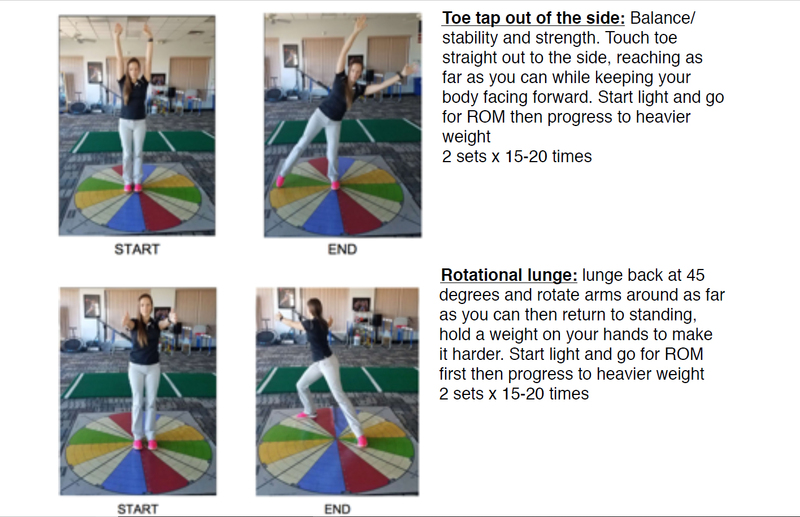 Hi everyone, Dr. Sara Ullenbruch PT., DPT., here to help you improve your round kicks with some education, mobility and strengthening exercises! I began my career as a Physical Therapist about 5 years ago seeking to improve my client's ability to actively participate in the things they love. I love Krav Maga and learning self-defense skills and I want you to be able to avoid injury and improve your skills at EVKM. I will be addressing certain movement patterns and giving you advice on exercises and stretches! This post will focus on the round kick and we've put together a video to demonstrate the mechanics we are seeking to strengthen along with how to perform the stretches and mobility exercises. There is a lot that goes into performing a round kick and it requires good mechanics and momentum, both of which need your body to have strength and mobility. We really want to focus on the standing/pivoting leg while you are throwing your round kick as that is where you generate your power from. Your thigh muscles (adductors and hamstrings) are being lengthened or eccentrically loaded throughout the whole motion while your core/abdominal muscles are doing the stabilizing. On a proper execution of the round kick mechanics, your kicking leg is moving from momentum not by strength. There are 7 muscles of your inner thigh (Psoas Major, Iliac, Adductor longus/Brevis/ Magnus, Gracilis, Pectineus) and 3 muscles in the back of your leg (hamstrings; semimembranosus, semitendinous and biceps femoris) that need to be directly lengthened (eccentrically loaded) during a round kick. You need to be mobile and strong throughout the whole movement of a round kick. That being said you need to do exercises for you core and thigh that allow you to move through the whole range of motion with ease. These exercises will allow your mobility and strength to improve and can help improve mechanics. Now you need to improve your technique by coming to class!! Always remember with hard work comes success, putting in a little extra time for strengthening and mobility exercises will lead to great improvements and steps towards your goals!! !